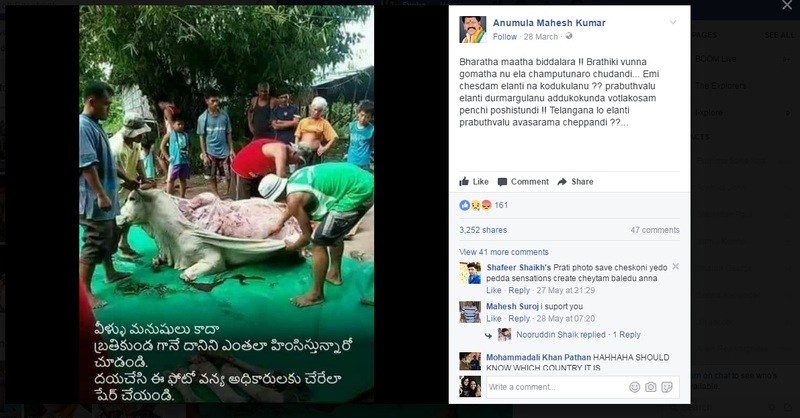 Anumula Mahesh Kumar, vice president of BJP SC Morcha in Telangana on his Facebook Profile, shared the image on Facebook on March 28th and is now going viral and has been shared by 3252 FB users so far. He is found inaugurating ceremonies and participating in political rallies. In one such picture, he can be seen standing behind senior BJP leader and Union Minister Venkaiah Naidu as reported. Translation of the post (from Telgu). Translated version of his post reads as quoted. It is clearly visible that he is inciting people on fake images and alleging the current state government. Using fake image is defiantly a bad idea. Mahesh Kumar was not budge when exposed. Mahesh Kumar even seems not budge when many users in the comments exposed him. This post is still visible on his timeline at the time covering the story. Upon tracing the image little further, we found it was sourced from some where China. Some organisation or group were urging people to sign an online petition against the Chinese government for not taking action against animal cruelty. 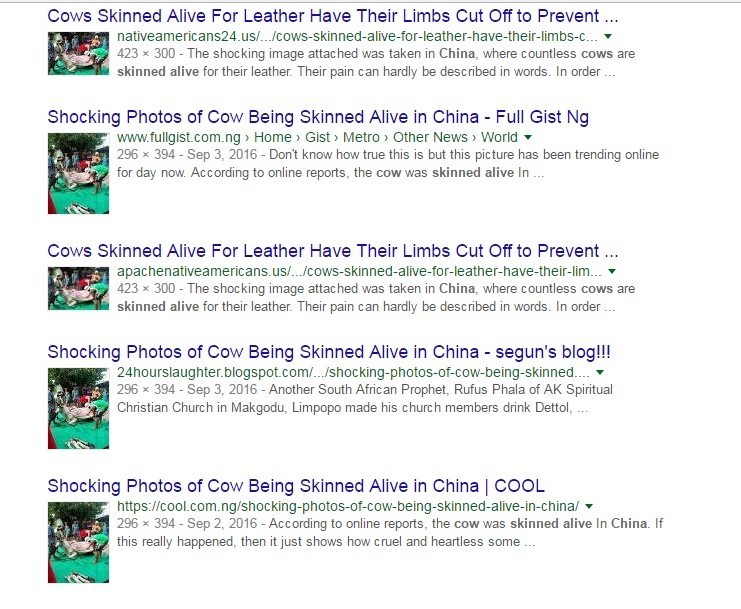 Animals were skinned alive for leather in tanning industry. Nothing new, few days back, another BJP Leader was sharing the Fake Images to incite the people. Did you forget the Fake Assange’s endorsement which Wikileaks disposed later. Narendra Modi for Prime Minister!! "@PreetamV: http://t.co/dZabXcVEbj"
Wikileaks took to Twitter to deny the same.